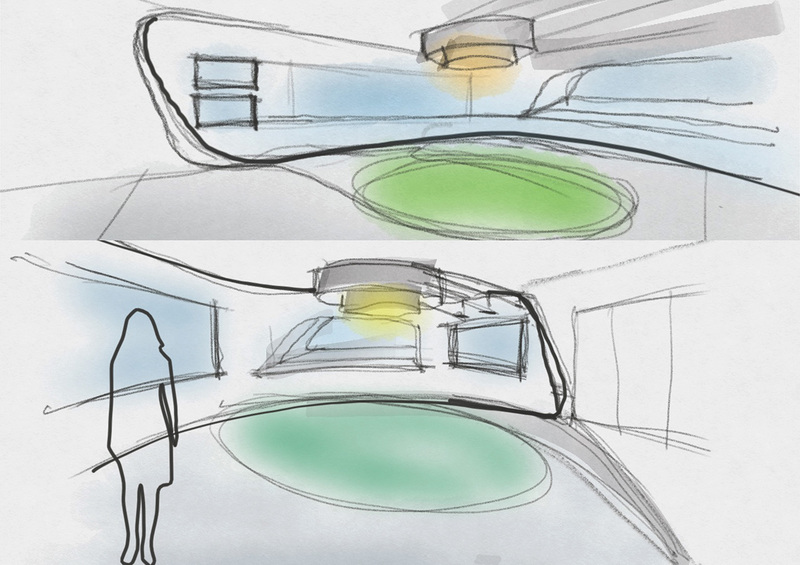 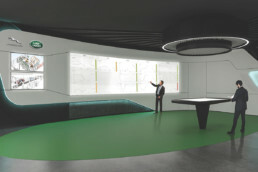 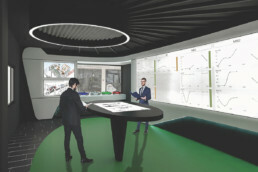 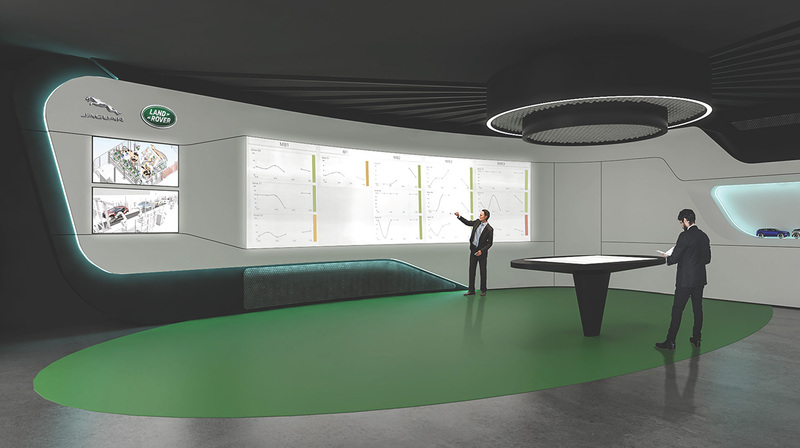 This project is a follow-up of Meeting Space for Magna in Graz. 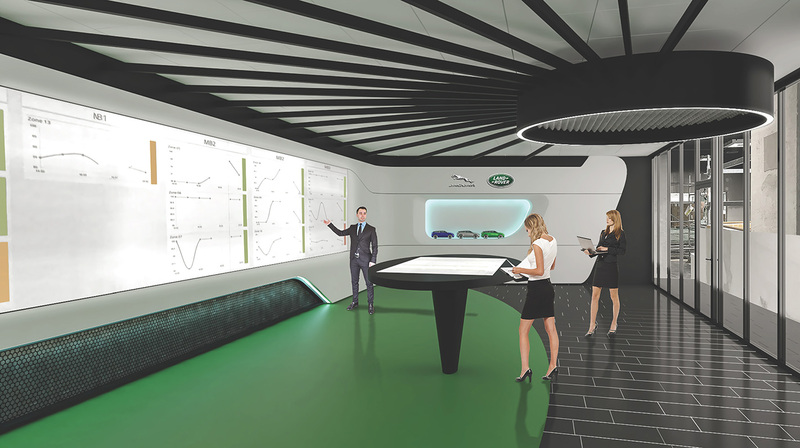 Jaguar Land Rover is considering equipping their new factory in Nitra, Slovakia, with 5 of Meeting Spaces of various sizes and forms. 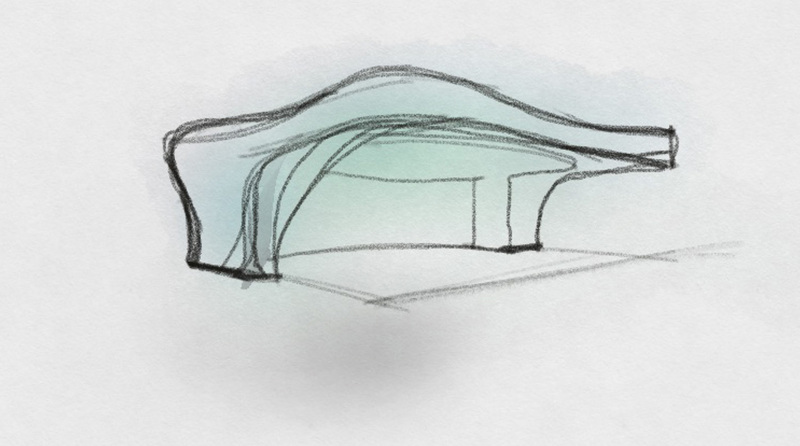 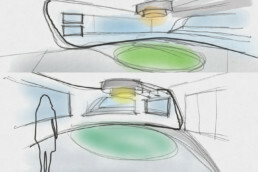 Because it’s of scalable and parametric design, it is possible to develop a unique spatial environment which perfectly fits the predefined requirements. 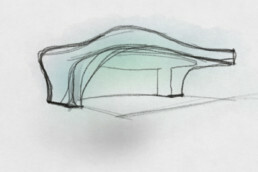 The design principles are driven by following aspects: Biomimicry, Adaptive surface, Adaptive components, Parametric design, Car inspired design. 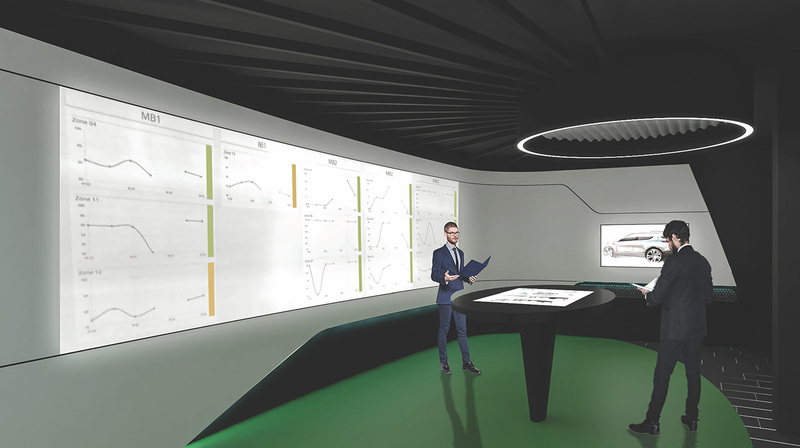 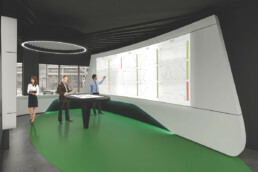 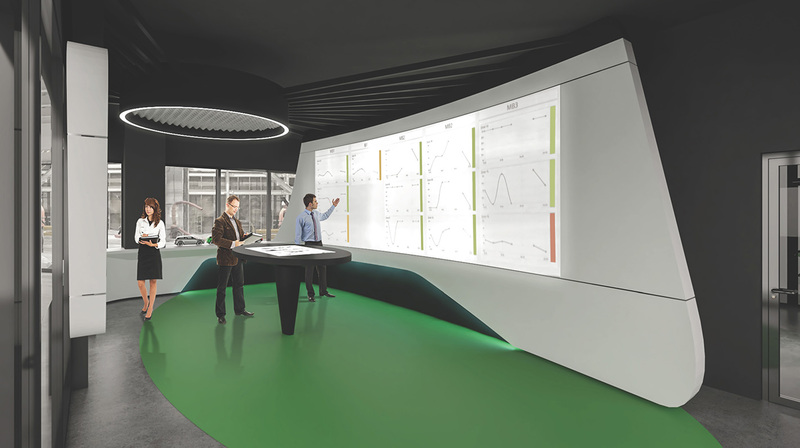 The big screen allows the visualization of data considering all production processes in the factory at once. 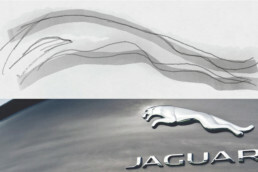 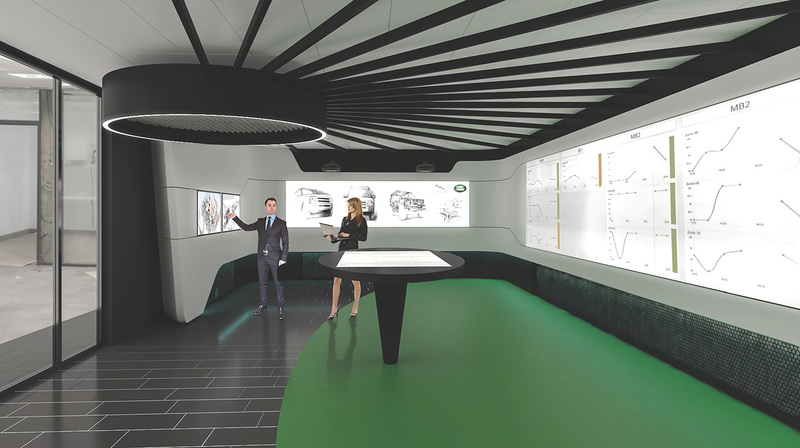 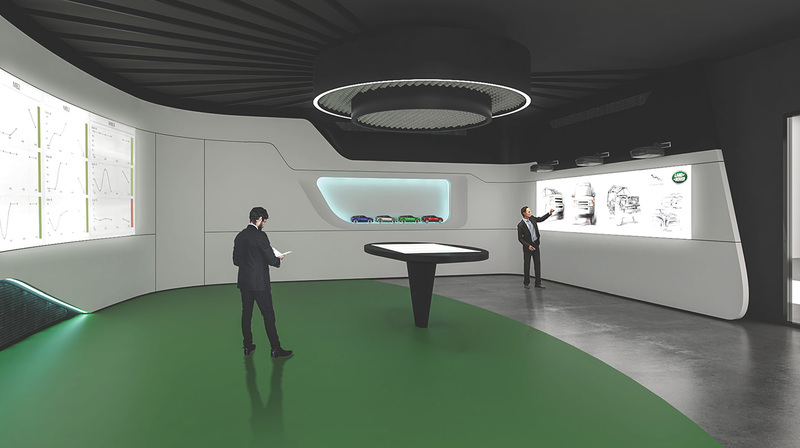 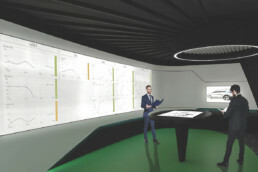 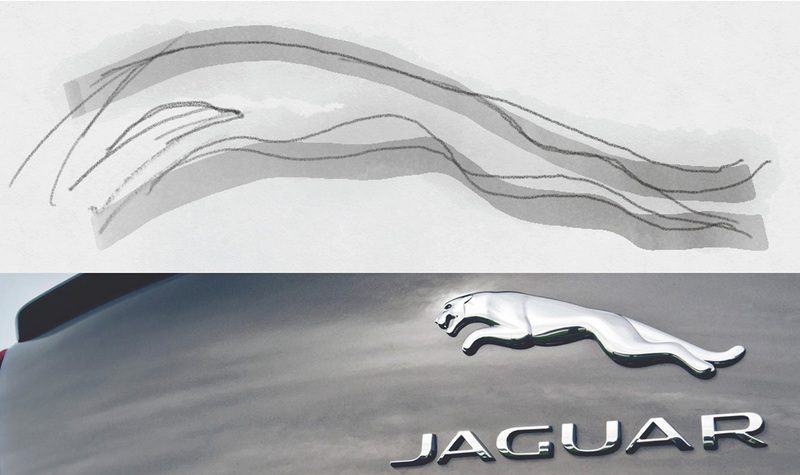 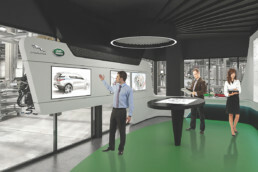 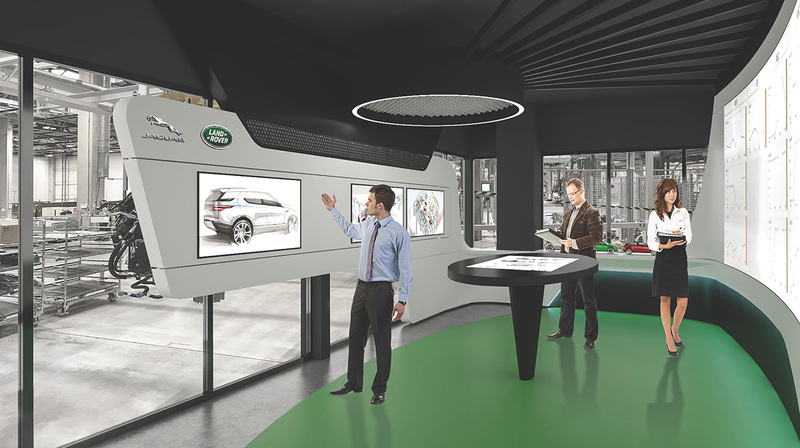 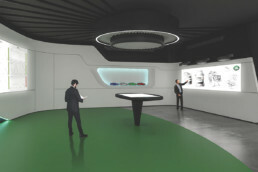 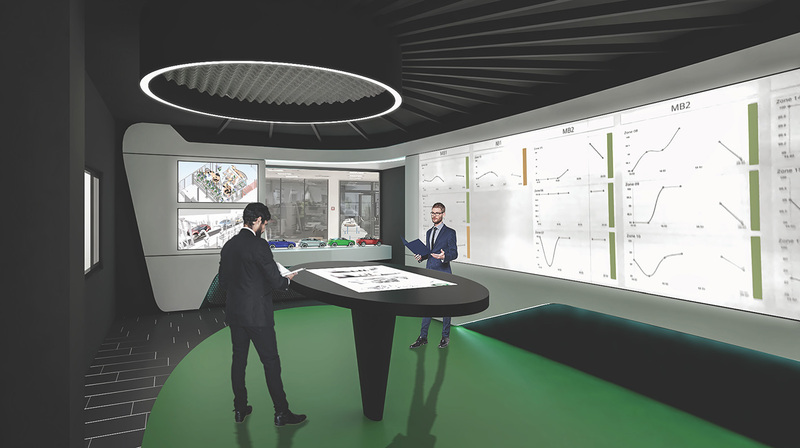 "Nerve Centres", as called by JLR, are Meeting Spaces situated at the important locations of the factory: one main and one smaller one in Quality Area, one in Assembly, one in Paint Shop and one in Body Shop.